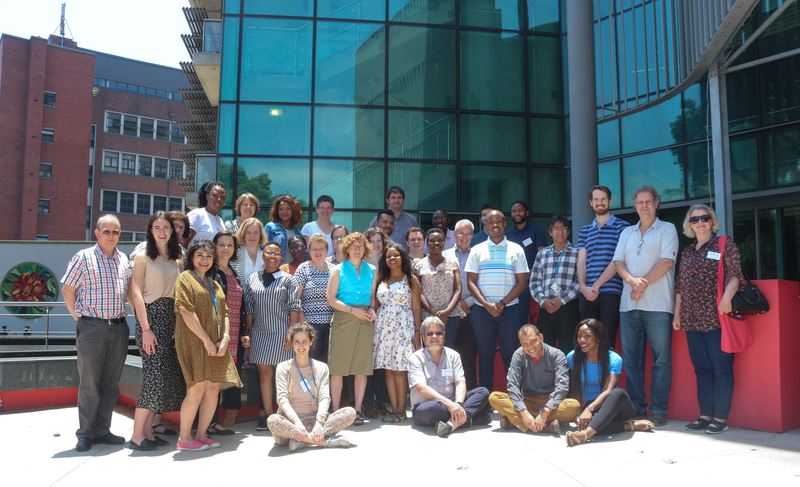 On the 12 & 13 December, the Africa Health Research Institute (AHRI) hosted the m-Africa workshop in Durban. The project is a two-year Medical Research Council GCRF Foundation Award that started in April 2017. m-Africa has allowed researchers from University College London, Imperial College London, and AHRI to work together to evaluate the feasibility of introducing mobile phone-connected tools to improve access to HIV testing, as well as linkage to care, in KwaZulu-Natal. The workshop provided an opportunity for m-Africa researchers to present the results of their work to academics, industry leaders, and members of the Department of Health. The two-day event included talks and open discussions to help understand where m-Africa may fit into the longer term plans for industry and healthcare providers, and the benefits that the tools and technologies being developed can bring to help address the issues these groups may face. Researchers, as part of m-Africa, have been working with different end-users in KwaZulu-Natal to understand how simple paper-based diagnostic tests [lateral flow tests] that use mobile phones for readout and linkage to care, can fit into and help reduce the load on the local healthcare system. Initial studies, based on population surveys run by AHRI, highlighted social trends related to the HIV situation in the region, which helped shape the design of the online care pathway. Focus groups with the local population were also run with healthcare workers to help refine the design of tools developed within the project, and understand how they will fit into the HIV testing, prevention and treatment landscape. The interdisciplinary team has made progress in the design of mobile applications, with the initial focus on developing an image recognition module, using the mobile phone camera to automatically interpret the results of a lateral flow test. The app is also using machine-learning to classify pictures taken of test results into three categories; positive, negative, and invalid. The p24 lateral flow assay developed within i-sense EPSRC IRC has been piloted at AHRI, using biobanked HIV-negative patient samples to assess the levels of non-specific binding affecting the readout of negative samples prior to evaluating the performance of the assay in a larger collection of approximately 100 patient samples. 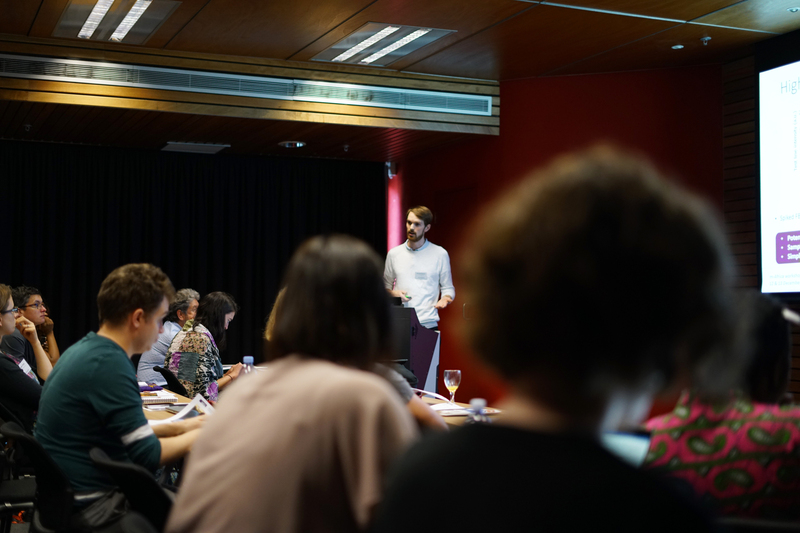 The workshop consisted of a series of talks from m-Africa researchers presenting the outcomes and findings from their work over the past two years. This was followed by talks from our three guest speakers, Prof Andrew Boulle (University of Cape Town), Prof Maurice Mars (University of KwaZulu-Natal), and Martin Weiss (Jembi Health). Attendees were then asked to join and contribute to one of two round table discussion groups; (1) 'The cascade of HIV care and prevention: How can mHealth tools and diagnostic technologies support uptake, linkage and retention in care and prevention? ', which was facilitated by Prof Pam Sonnenberg (UCL) and Dr Maryam Shahmanesh (UCL/AHRI), and presented by Prof Claudia Estcourt (Glasgow Caledonian University), or (2) 'Delivering a tool to address industry needs', which was facilitated by Dr Kobus Herbst (AHRI) and presented by Prof Rachel McKendry (UCL). The first workshop discussion addressed benefits and challenges for the mHealth pathway, including the potential for mHealth solutions to improve quality and access to care. Concerns around digital and health literacy, privacy (shared phones and sim swapping), and cost and access to data were brought forward. It was also discussed that mHealth solutions cannot have a ‘one size fits all’ approach and needs to develop as part of a mixed model of care. The second discussion session engaged with mHealth software developers and mobile providers to understand system integration initiatives for early diagnostics users and the administering of such devices into mHealth solutions. The discussion considered the app ecosystem and ideas around a standardised interface, addressed how different mHealth apps should coexist in this space, and looked at the potential barriers to adoption by various groups, as well as standards and certification. The tools and technologies are being developed for HIV in the first instance, but they aim is ensure they can also be applied across a range of infections and medical conditions and quickly integrated into the community, empowering patients to manage their own health. Collaborations and engagement with various end users and stakeholders is important in ensuring this aim is achieved and the tools and technologies address various needs. m-Africa is funded by a Medical Research GCRF Global Infections Foundation Award (MR/P024378/1) and is part of the EDCTP2 programme supported by the European Union.